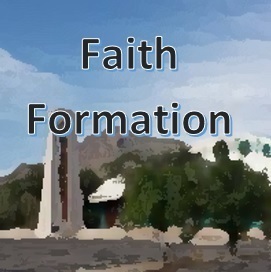 St. Odilia Faith Formation Program begins September 9, 2018 and concludes April 28, 2019. This program is for families with children 4 years old to 6thgrade. We gather on Sunday Morning starting with the 9am Mass. Individual classes will take place each week in the education center starting at 1030am and finish at 11:45am. This year we are introducing six Family Faith Formation days listed below. These days are for the whole family and we welcome you to invite extended family. Grandparents, Aunts, Uncles or even the neighbor are invited to join and share faith. These days will be part of our curriculum and we hope your family will be able to attend. September 9, 2018 What is lifelong Faith Formation? Vacation Bible School - June 17 through June 21. Life is wild! Have you thought about giving a week to experience how good God is. Save the date to be part of this VBS. Jr. High to Adults needed to lead and children to come and participate. Email or call Susanna to help lead children through VBS.